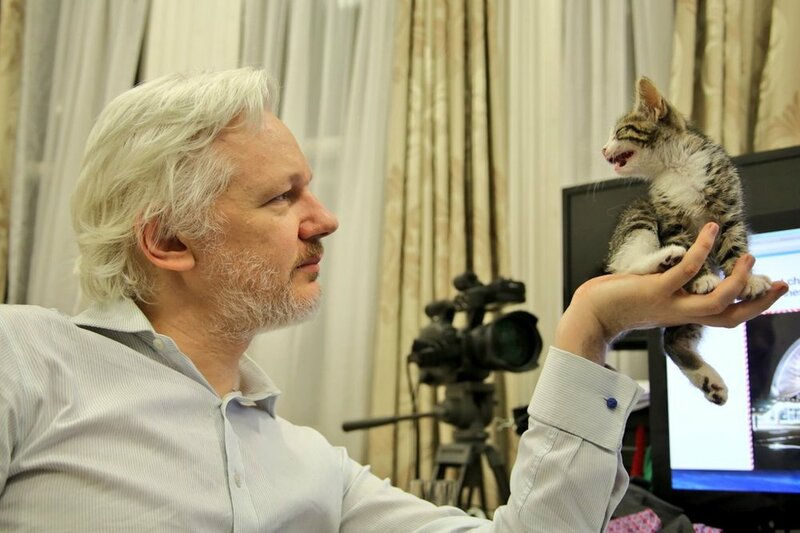 Julian Assange has adopted a cat to keep him company. According to its Twitter and Instagram accounts, Embassy Cat is interested in "counter-purrveillance." Here are some highlights from Embassy Cat's recent Internet activity. He's cute as all get out!